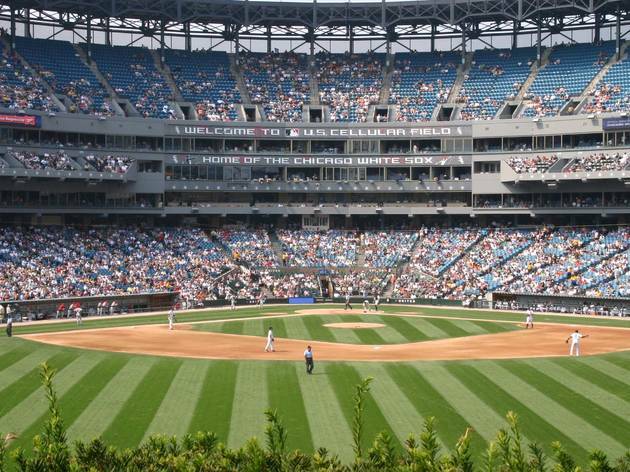 The craft beer selection at White Sox games this season will be revolutionary. The team announced a new two-year partnership with Chicago’s Revolution Brewing to operate the #SoxSocial Tap Room, a new Revolution-branded bar along the left field line at Guaranteed Rate Field. The Chicago Tribune reports that the new taproom will feature a number of Revolution’s most popular beers on draft, including Anti-Hero IPA, Fist City Chicago Pale Ale, Rev Pils and the summer seasonal Sun Crusher Hoppy Wheat Ale. You can also look for more specialized suds, including varieties made at Revolution’s Logan Square brewpub, the rotating Hero series and even Deth’s Tar, the 14.8 percent ABV barrel-aged imperial oatmeal stout. The space, with a capacity of 250 plus 60 more on a patio overlooking the field, was previously the Miller Lite–branded Extra Base Club, which was mostly reserved for private events since its opening with the 2015 season. The #SoxSocial Tap Room will be open to all ticketholders, and replaces the park’s social-media-focused #SoxSocial Lounge, which had outgrown its old space. As part of the deal, Revolution will also expand its presence outside of the taproom, with 38 tap handles around the park (up from just nine in 2017) pouring Fist City, Anti-Hero, Rev Pils and Sun Crusher. 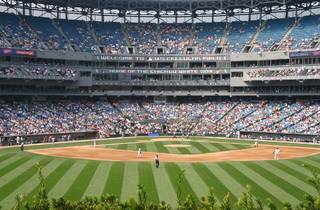 The Sox play their home opener April 5 against the Detroit Tigers.